My brother and I are huge fans of director Christopher Nolan. Besides his Batman films, his mind-blowing film The Prestige convinced us that smart science-fiction still exists. The science-fiction film Inception, about a group of thieves stealing from dreams, opens nation-wide July 16th. Over the next few weeks, we'll be doing daily posts on the development of the film. 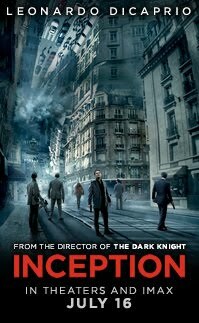 Inception's official Facebook page is chock full of links to contests and give-aways. Some require you to sign up though. What do you think of Facebook viral marketing?